These days, the Catalan capital is a vibrant city filled with hip inhabitants and trendy partygoers. 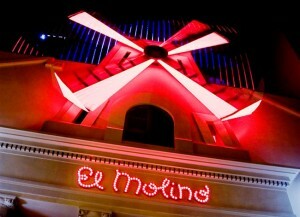 However, the city has a bit of a dark past, filled with gloomy episodes and terrifying tales. Lucky for you, these spooky secrets are just waiting to be discovered! 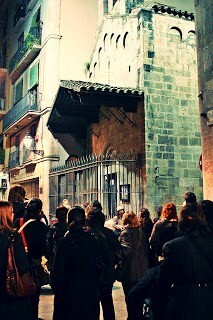 Join Runnerbean Tours on their freaky ‘Haunted Past Night Tour’ around the neighborhood with one of the richest (and darkest) histories, El Born. You can see scenes from the grim Spanish Inquisition, and relive some of the most haunting legends Barcelona has lurking in its murky past. Enjoy chilling tales of medieval tortures, dingy dungeons and creepy cemeteries during this fascinating tour. If you still aren’t spooked, you can hop on the ‘Ghost Walking Tour,’ run by ICONO, to hear hair-raising stories of ghouls, specters, witchcraft and exorcisms! 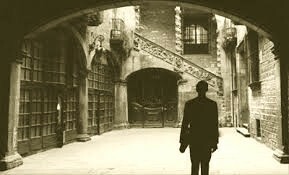 Based on the novel ‘The Ghosts of Barcelona’ by Sylvia Lagarda-Mata, you’ll visit haunted spots of strange sightings and paranormal activity and learn about some of Barcelona’s darkest, most unnerving occurrences. Forget walking, you’ll be hailing a taxi home and sleeping with the lights on after this one! Looking for something a bit different? Want to hear a sexier version of local history? ‘The Sinful Side of Barcelona Tour’ by VIA offers a scintillating look into the sensual city of the old days. From the crazy cabaret halls of Paral·lel to the debauchery of El Raval and the steamy secrets of Las Ramblas, this tour highlights scenes from Barcelona’s lascivious past. Dingy dives and racy tales allow you to discover the city like never before. Have you read Carlos Ruiz Zafon’s wonderful novel ‘The Shadow of the Wind’? Then why not enter the real life world of the literary work by joining Orange Monkey’s or ICONO’S dedicated walking tour. Dive into the intriguing world of Zafon’s characters and relive their adventures in Barcelona’s Old Town and Tibidabo neighborhoods. Feel the novel come to life as you retrace the steps of Daniel, Julián and Fermín and you’ll soon feel as though you’re living part of the story. For those who love Spanish literature, ICONO also run a wonderful tour based on Idelfonso Falcones’ novel ‘The Cathedral of the Sea’. Visit all the original sights of the old town as described in the book and travel 700 years back in time to the old Catalonian kingdom! If you’re making your trip to Barcelona a family affair, you’ll need to find a way to keep the kids entertained. Keep their imaginations running and spend an afternoon with a living, breathing time traveler from the time of knights and princesses! Join Barcelino’s ‘Medieval Tour for Children’ and discover the rich medieval history of Barcelona along with its magical legends with a costumed guide. Children will hear mythical tales of dragons and unicorns, and learn about what it was like to be someone their age way back then, including what toys they played with, what they wore, and what they ate! This interactive tour is sure to be exciting and informative for kids and adults alike! 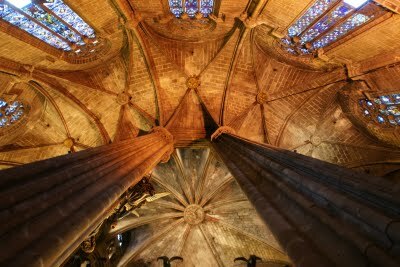 So for a chance to discover the secret past of Barcelona, and relive the world of days gone by, don’t miss out on one of these unique tours in Barcelona! This entry was posted in Activities, Home, Things to do, Tourist Guide and tagged alternative tours of barcelona, barcelona activities, Barcelona activities for children, barcelona architecture, barcelona attractions, Barcelona culture, barcelona neighborhoods, barcelona tourist guide, el molino barcelona, halloween barcelona, history barcelona, things to do in barcelona, tourism in barcelona, tours of barcelona, visiting barcelona, walking tours barcelona. Bookmark the permalink.